I got my Westcoast Seed Order placed. I had Yukon Gold potatoes on the list but decided to wait until closer to planting time. As you can see I got larger packages of lettuce seed this time. I am able to grow lettuce almost year round, so I've just taken a small mason jar and mix the seeds up in it. I'm well set for the next year at least. 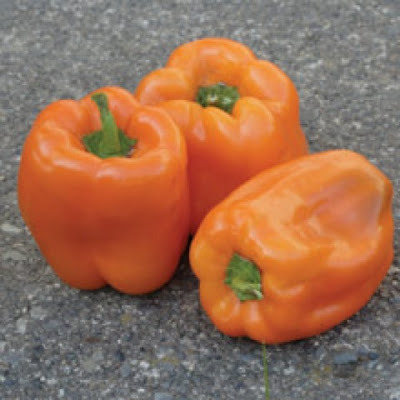 Next week is the date I have for starting the pepper seeds, so I really wanted those Orange Sun Pepper seeds. Bring on spring. *The order came in this week. Yayyy. The Waltham Butternut Squash and Long Island Mammoth Dill back ordered. How did you manage to keep your list so small, Erin? I think you've been very restrained! Well thank you Mark. Actually, I have SO many seeds from last year, I probably didn't need anything. Oh, do you have a list of seed life? Though I didn't have too much luck with them, Orange Sun peppers are supposedly very productive. Monstrueux de viroflay is an incredible producer in my climate during the winter - though like many spinach varieties - its seeds will not sprout until temps go down below 75 degrees Fahrenheit.